UPDATE: hotwire.com changed their site(for the worse), and now this old guide is no longer up-to-date. Check out The new how to identify hotwire hotel’s guide for 2015. Hotwire markets itself as a site that delivers terrific deals but withholds the name of the hotel until after you already paid for it. However, there are certain unique identifiers Hotwire tells you that you can use to identify the majority of hotels. Think of it as a game of 20 questions where each question narrows down the pool of possible hotels you are getting. Usually you can narrow it down to a single hotel. Pick the hotel you want to identify. The first step in identifying your hotel is to pick the area. The hotels listed when you click on an area are guaranteed to be within the borders. Knowing these borders are crucial in later steps. Familiarize yourself with the roads or landmarks within that area since you will have to identify it on another map. Collect Information About the Hotel. Once you click on the hotel you will be taken to a page containing additional information about that hotel. We are going to go through all the details that will be relevant to a successful identification. 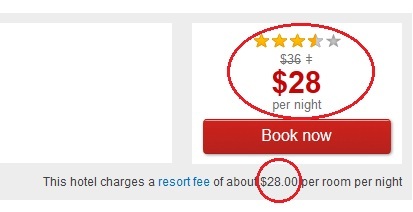 In the above image we see the price, the number of stars, and the hotel resort fee. Below this is an area of icons showing the available amenities at the hotel. Back on the main Hotel information page there are a few additional pieces of information that will help you in identifying the hotel. Below the amenities icons are the reviews. 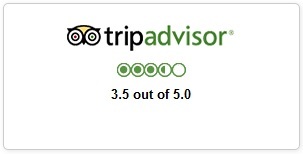 The important review to notice is the Tripadvisor Review. Which means the hotel is new and there isn’t enough reviews yet. The hotel’s Tripadvisor rating or lack of rating due to “Still Gathering Reviews” are both very useful in identifying a hotel. The last bit of information you’ll want to collect is the Age Restriction the hotel has. It’s located near the bottom of the main hotwire page. The age restriction will either be 21 or 18. In some places, like Las Vegas, all hotels will be 21 due to the more adult oriented nature of the area. In other cities hotels will have a mix of 21 or 18 restricted hotels. Now you have accumulated several pieces of information that is unique to the hotel you are interested in identifying. First we’ll need to look at hotels available on the market at standard rates to figure out which one of them is our secret hotel. The best way to do this is to use Hotwire itself in Standard Rate mode. Click the “Standar Rate Hotels” Tab to switch over. I also recommend you change your location if you live in America. Set it to the UK, but you can leave the currency in USD, I’ll explain more on why you should do this in the next section. 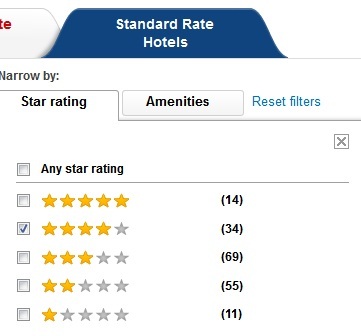 You’ll also want to select the Star Rating of the hotel you’re interested in to narrow down the search. Hotwire fudges the star ratings of hotels so they don’t match any star rating standard. If we stay on hotwire then we know a secret hotel of 4 stars will also be a Standard Rate hotel of 4 stars. On another site the same hotel might be listed as 3 1/2 stars. You’ll want to line up the map to be viewing the same area that the secret hotel is in. Check through all the blue pins that fit into that area. Every hotel I see that has the same star rating I’m interested in I open up in a new tab to review individually. This is obvious but often overlooked: there is no reason to look at a “Standard rate Hotel” That has a lower price than the “Secret Rate Hotel”. If the secret hotel had a resort fee then the Standard Rate Hotel will have exactly the same resort fee. If it’s an unusual fee like $13.37 then this makes it way easier to identify the hotel. Simply find the hotel with the same resort fee in the specified area and you are done. Sometimes a simple Google search of the resort fee and area will give you a match. Some Amenities mean more than others. When you’re looking at 4-star hotels or above they pretty much all have similar amenities. Unique ones to look for are “Pets Allowed”, “Full Service Spa”, and free things like Breakfast or Internet. 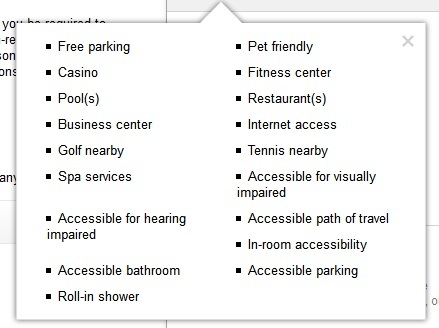 If the Secret Hotel amenities list has things like “Golf nearby” or “Tennis nearby” sometimes it’s a good idea to load up Google maps and see if the possible hotels are near any golf courses or tennis courts. Pool(s) on the Secret Hotel amenities list means outdoor pool, if there is an indoor pool that will be a separate and unique amenity. Only have to make sure this matches with the same score. This is the last check. If the age restrictions don’t match but everything else does then you still have the wrong hotel. The ages must match. If all the “Secret Hotel” corroborates with the “Standard Rate Hotel” then congratulations you probably found the correct hotel. However, be warned there are scenarios where the above method will fail. Move the location you’re searching for around. The city or landmark you search for has an invisible circular range around it which will include hotels in that range. The trick is to pick more rural areas that still includes the location you’re interested in. You want to have as few hotels in that circle as possible so you can see all the available hotels in the range you’re interested in. This method won’t work at all if you want to stay in downtown Manhattan or similarly huge city. I noticed that changing your country setting actually increases the number of hotels Hotwire “Standard Rate Hotels” shows you. You can read the article I wrote on changing your Hotwire country settings. Changing to the UK seems to help significantly and the site stays in English. Use a different hotel searching website. Hotels.com has a pretty good interactive map with filters and color coding for finding hotels. It’s a good backup to use, but the Star ratings can be different and the format isn’t the same as Hotwire so correlating known information is more difficult to do. Some hotels are just too similar to their neighboring hotels and there is no way to differentiate them. Hopefully if you follow this guide correctly those experiences should be rare. 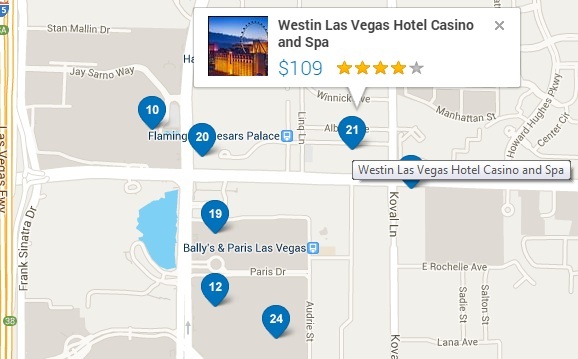 The majority of hotels on Hotwire can be identified. However, it is up to the individual buyer to beware of faulty predictions. This is merely a guide to get close to a correct hotel prediction. Nobody can 100% guarantee you will get the hotel you identified.